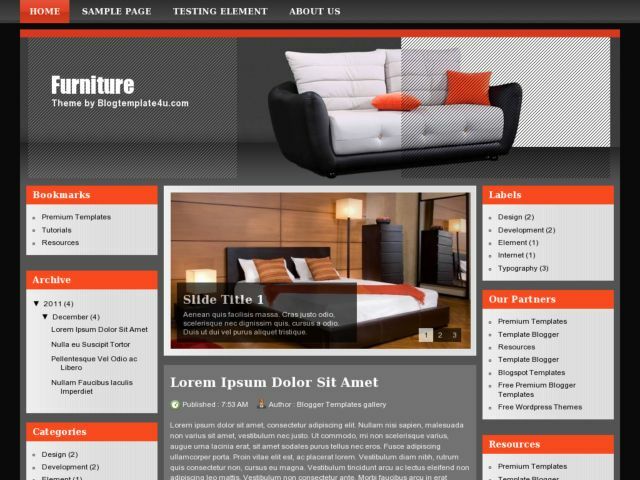 Furniture Blogger Template is a professional blogger template with furniture style, which uses a dark gray for basic background and contrast with the red color on sidebar title. This template has 3 columns, sidebar on the left and right. This template is very good for those of who want to create a blog about furniture or want to sell furniture through the blog.